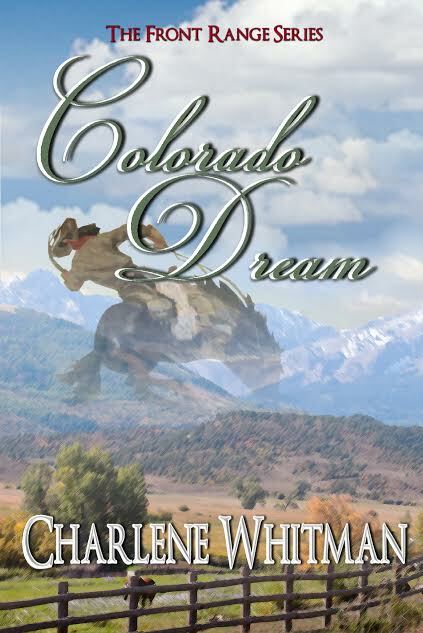 I'm Shelf-ish: Charlene Whitman's Colorado Dream book blast! 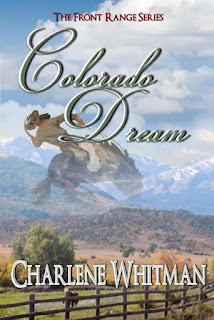 We're happy to host Charlene Whitman's COLORADO DREAM book blast today! 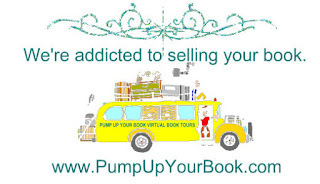 Please leave a comment to let her know you stopped by! But then, one evening, he hears sweet violin music that seeps deep into his soul--music that floods him with peace. 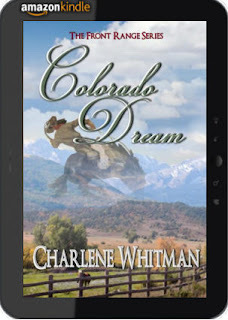 He falls hard for Angela but knows she plans to leave Colorado. All his attempts to win her heart fail disastrously, and though he buries himself in the cattle roundup, when he helps thwart a rustling outfit, his enemies multiply. Somehow he must find a way to gain Angela's heart and trust. And somehow Angela must break past her distrust of men to discover the love awaiting her with open arms. The slap on Angela Bellini’s cheek burned, but not as fiercely as the hurt in her heart. The pain and disappointment smoldering there sizzled like hot embers, threatening to reduce her to a pile of ash. She glared at her father’s back as he stomped out of the room. When she forced her objections past the rock lodged in her aching throat, she knew what would follow. What always followed. Her papá’s rage erupted in a torrent of Italian curses that ended with a slap that knocked her nearly senseless against the foyer wall before he stormed out the apartment. As she slid down in a heap by the front door, she had caught a glimpse of her mamá in the kitchen, her back turned to her in unspoken submission. 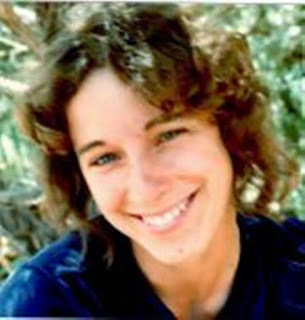 Angela huffed. I will never marry and become like you, Mamá—squashed under the thumb of some man who wants only subservience and a crowded apartment full of squalling babies. She swallowed back tears. She would not cry—not today. Today she would take the first steps—real steps—toward her dream. And no one, not even the powerful and prominent Giusepe Bellini could stop her. Their tiny stuffy apartment rumbled—as it always did six times a day and twice each night—from the Third Avenue El Train fifty feet away. The noise of the wheels clacking and the platform rattling mingled with the loud voices of her downstairs neighbors arguing—Mr. Paolino’s tenor to his wife’s shrill soprano. Outside her window, carriages clattered on cobblestones in sharp staccato, and shoppers and merchants carried on in boisterous conversation, sounding no more pacifying than an orchestra tuning their instruments. On most days Angela could drown out the suffocating symphony of Mulberry Bend by rehearsing violin caprices in her head, imagining her fingers flying over the fingerboard, her right hand bowing the strings, eliciting the sweet and sonorous timbre of her instrument. But on this stifling, humid September afternoon, the many pieces she’d memorized—no, absorbed into her very soul, as if food that nourished her—flitted away, out of reach, as she pulled down the heavy carpetbag from the hall closet—a bag that she’d found months ago stuffed behind a stack of wool blankets. She stopped and listened. Her mama was humming in the back room as she folded laundry. Her two younger siblings were off playing with neighborhood children—in the street, no doubt, as the sweltering heat was worse indoors. Angela’s hands shook as she dabbed her perspiring forehead and neck with a handkerchief and went through her mental list of all she would need on her trip. Not much—she’d only be gone ten, perhaps, twelve days, if all went as planned. She pushed from her thoughts her papá’s impending fury at her insolence and the resulting punishments that would await her upon her return. But she had made her decision, and there was no turning back. Hurry, she told herself. Her papá had gone downstairs to the corner market, and while he often spent an hour or more on Sunday afternoons smoking cigars with the men of the neighborhood, discussing the politics of her close-knit Italian community and their various business ventures—and arranging their daughters’ marriages, she thought bitterly—he could return at any time. In her bedroom, she gathered the neat stack of clothes she had put in her bottom dresser drawer, then stuffed them into the traveling bag along with her few womanly items, her prayer book, some sheets of music, and a spare pair of shoes. She checked her reticule and found the roll of bills—the money she’d earned over the last two years from babysitting and teaching music lessons through Signore Bianchi’s instrument shop on Second Avenue. She hoped it would be enough for the quality of violin she planned to buy. Mr. Fisk hadn’t answered her inquiry regarding pricing in his letter. He merely assured her he would provide her with an exceptional instrument and that they would work out the financial details once she arrived in Greeley, Colorado. Would her meager savings be enough? It had to be, for she couldn’t return to New York and face the audition committee without a proper instrument. The director’s words still stung. “You’re a talented musician, Miss Bellini. But you bring shame to your craft by playing on such an inferior violin. Come back when you have an appropriate instrument.” The three committee members had politely frowned when she flustered an apology and hurried to the exit of the symphony hall, pressing down her humiliation and frustration as tears welled in her eyes. Her papá could well afford to buy her a violin of exceptional quality, and every year at Christmas she begged him to indulge her love of playing with the purchase of a new one, but he only laughed in cool disdain and waved her away. “Give up your foolish dreams, Angela. Your place is in the home, with a husband and children. Not on the stage.” Her papá regarded music appropriate only at holidays and festivals and family gatherings, and only traditional song and instrumentation. He didn’t—couldn’t—understand this dream she nursed. The dream to play in the New York Philharmonic, to play on stage before an audience, to be a part of the creation of ethereal music that filled a great performance hall and moved listeners to tears. To make matters worse, her older brother, Bartolomeo, sided with their papá, constantly nagging her to “get married already and stop being a burden on the family.” Although he was but two years older, he and Dora had three children. And Dora—and most of Angela’s other girlfriends from her school days, who were also married—gave her constant looks of pity, as if Angela was missing out on life’s greatest joy. But they just didn’t understand. She had to fan the tiny spark of her dream to keep it alive, to prevent it from being snuffed out by her papá’s stern expectations and society’s demands. And it had nearly been extinguished a month ago, upon her papá’s brash public announcement of her engagement to Pietro—an arrogant youngest son of a successful wine merchant who had no love for music—none whatsoever. She harbored no hope that he would ever understand her passionate need to play the violin, and no doubt he’d forbid her pursuit of her dream. And then she’d read an article in the Times about one George Fisk, a master violin maker in a newly founded town in the West—a place called Greeley. On a whim she’d written him. Why? She didn’t know. She could purchase a violin in Manhattan—one of sufficient quality. But there was something about the description of this man, Fisk. The way he spoke about the instruments he made. The care and time and love he put into each one. He built his instruments with a passion and love for beauty and music that resonated with her. For, she wanted more than a good violin. She wanted one that spoke to her soul, one made just for her. George Fisk promised he could provide just that. But she had to travel halfway across the continent. Was she willing? he’d asked her. Yes, she wrote him. Yes, more than willing. Although, she’d never traveled outside of the city, and the thought of venturing into wild country, alone, made her stomach twist. But Fisk had told her not to worry. He would see to her accommodations and show her around his “wonderful little Western town.” And she had to admit—she was ready for an adventure. She looked around her cramped tiny bedroom situated in a crowded apartment in a busy, noisy city. I’m more than ready for peace and quiet, and to get away from Papá’s mean spirit and violent temper. What must it be like to stand under a wide-open sky spattered with stars, with no neighbors quarreling or trains rattling or horses’ hooves clacking on stones? Her heart yearned for such open space, for such silence. Silence that longed to be filled with beautiful music. She imagined nature itself performing a symphony of birdsong and coyote howls and water cascading over rocks. Those were some of the images her mind drifted to as she played, and she longed to merge her own musical voice to that of creation, if even just for a day or two. The Front Range series of sweet historical Western romance novels (set in 1876) includes Colorado Promise, set in Greeley, Colorado; Colorado Hope, set in Fort Collins; Wild Secret, Wild Longing, which takes readers up into the Rockies, and Colorado Dream (release date 11/15/16) and Wild Horses, Wild Hearts (release date 1/1/17).